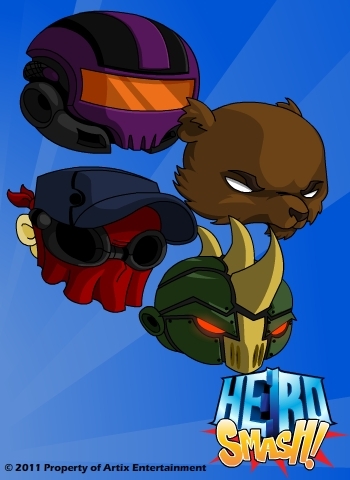 5 Days to HeroSmash Beta! 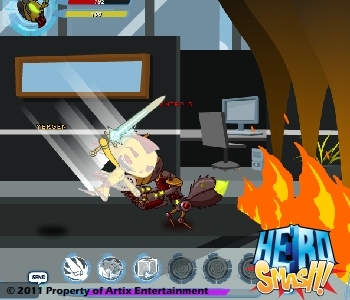 Beta is approaching fast on the horizon, and as promised here is you next update of what to look for in HeroSmash beta. The fiendish Dr. Insecro has chosen the bank inside the Corporal Bulding for his next dastardly plan. His army of Bug Bots are a dangerous bunch. Will you let him succeed? Or will you take him down? 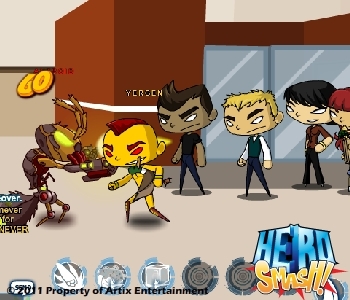 Join Llusion in this multi-story mega battle. Beta will see the rise of the Head Morphs. These sweet items will be the talk of the town. I guarantee. Thyton and Jemini really made these Head Morphs rock! Your enemies won’t know what hit them. 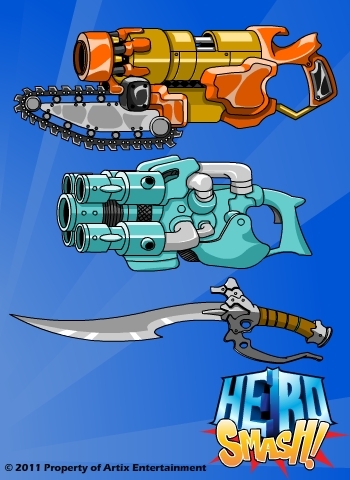 These weapons are top of the line and ready to do some damage. Big thanks to Thyton and Randor for these beauties. 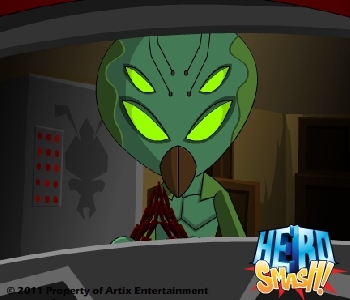 Tune in tomorrow for another big update on what to expect for our HeroSmash Beta launch!